Gracie Jiu-Jitsu - Area's only Royce Gracie Black Belts in VA, MD & DC! The primary objective of jiu-jitsu is to empower the weak. The history of Brazilian Jiu Jitsu (BJJ) goes back through the Gracie family to their original teacher, Mitsuyo Maeda (Conde Coma) and his training in the Kodokan, the home of Judo. The overall fighting strategy of Brazilian Jiu Jitsu is designed to equip a physically smaller or weaker individual with an effective method of defending against a larger and stronger attacker. 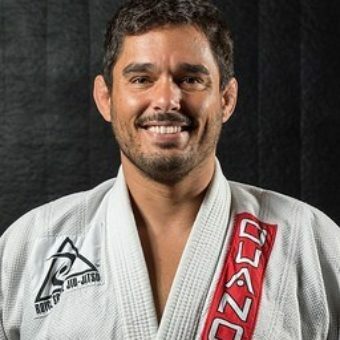 The innovations of the Gracie family, most notably by grandmasters Carlos and Helio Gracie, and continuing with BJJ fighters today, through constant testing and refinement in the crucible of actual fights, has resulted in this unique style of Jiu Jitsu. Royce Gracie is a legendary jiu jitsu and MMA/ NHB (no holds barred) fighter,being arguably the sports’ most influential figure. Growing as the son Helio Gracie, Royce Gracie held the Gracie family torch high while helping to build the sport of MMA and bringing awareness to Brazilian Jiu Jitsu. He was the original pioneer of the Ultimate Fighting Championship (UFC), and was single handedly responsible for a new era in martial arts. Royce Gracie was inducted in UFC Hall of Fame in 2003. Gracie BJJ training at Capital is fun, safe and effective. People from all walks of life take our Gracie martial arts classes. Our students include men and women interested in learning martial arts for self-defense, those interested in Sport Jiu-Jitsu, MMA competitors, Special Forces and Law Enforcement personnel. At Capital MMA, our lineage traces directly to Royce Gracie and to Grandmaster, Helio Gracie. The Gracie family story begins with George Gracie, who emigrated from Scotland to Brazil. It is his son Gastão Gracie, who was the father of Carlos Gracie and who arranged for Carlos to study classical Japanese Jiu-Jitsu with the former Japanese champion, Mitsuyo Maeda (known in Brazil as Conde Koma, the “Count of Combat”). Little did George Gracie know that his descendants would one day form the largest family of athletes in history. The Gracies not only revolutionized the martial arts community but through their students and affiliates continue to spread the benefits of Gracie Jiu-Jitsu, the most effective form of self-defense in the world. Since 1925, over 40 members of the Gracie Family have dedicated their lives to the practice and dissemination of the techniques and philosophy of Gracie Jiu-Jitsu, making it the largest family of athletes in the world. Gracie Jiu-Jitsu is a way of life. Beyond the mat, members of the Gracie family live balanced, healthy lives based on the same philosophy that governs their unique self-defense system. Grand Masters Carlos and Helio Gracie believed that the principles of efficiency, patience, and control held the key to success in all aspects of life. Grandmaster Hélio Gracie founded Gracie Jiu-Jitsu together with his brother Carlos Gracie. Royce Gracie is the sixth son of Grand Master Helio Gracie and is the founder of Gracie Jiu-Jitsu Academy. As a member of Capital MMA, your BJJ lineage traces directly to Royce Gracie and to Grandmaster, Helio Gracie. The only Royce Gracie Jiu-Jitsu black belt practitioners in Washington D.C., Virginia and Maryland under the Brazilian Jiu-Jitsu legend Royce Gracie exclusively teach at Capital MMA &amp; Elite Fitness.